A beautiful, atmospheric frame with a soft, warm light that illuminates the fixed text, to add that cosy touch - Ideal for placing upon a mantel piece or shelf. 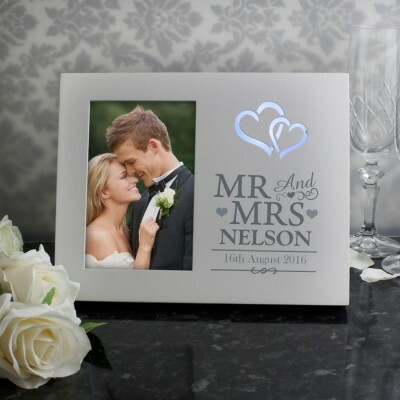 Personalise this Light Up Photo Frame with the couples surname and one line of text. The words 'MR And MRS' is fixed text.